Instant Oats Rava Dhokla | Oats Suji Ka Dhokla is a savory steamed cake recipe which is suitable for breakfast, brunch or teatime snack. It is a tempting, soft, and spongy healthy and filler dish made with oats and rava or suji. It includes quick cooking with very little oil, and at the same time, it’s quite easy to make. You know what, I am certainly one of those people whose communication either starts with climate. There would be something about the weather in my talks. It’s because I find the weather here so magical and mesmerizing. Climate was pretty good during the last two days — sunny and little warm. It was so warm yesterday that little ‘A’ even asked if we could go for a beach picnic, and I said yes to her for the picnic today, without checking the weather forecast. My bad, now she wouldn’t stop nagging, and I would have to answer her 100s of times, and she won’t stop asking ‘why’ every single time. And to make it up, I would have to bribe her with something she likes. But hey, I was talking about the weather. Right? So, now it’s cold, dark and rainy again, pretty close to 10°C, and it’s gonna be like this today and tomorrow. Because it’s cold, so I really wanted something healthy and warm for breakfast. Thus I decided to end up with this healthy, warm and delicious oats in the form of Dhokla. 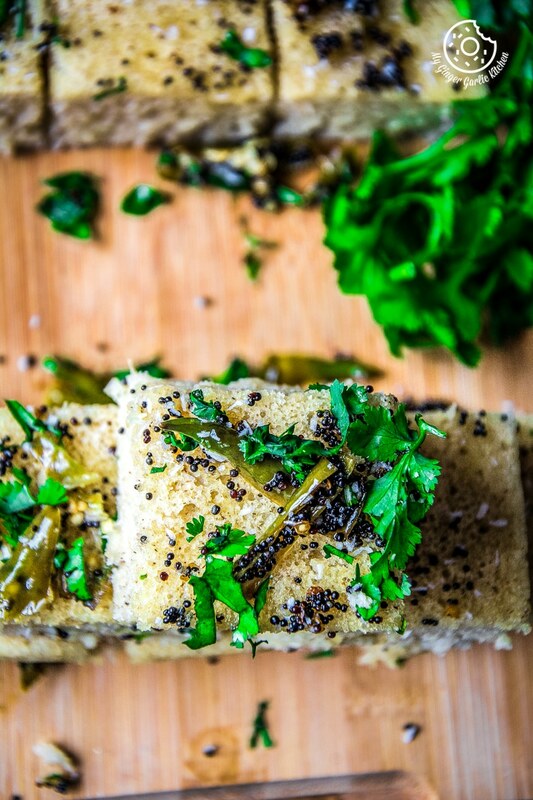 Dhokla is a breakfast dish which originated from the Indian state of Gujarat. If you are aware of Dhokla then you might have tried different varieties of dhoklas. 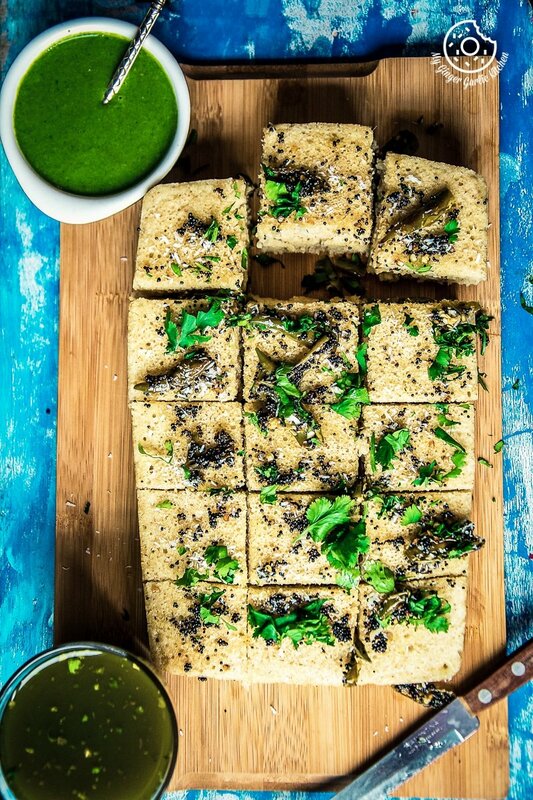 There are many different versions of Dhokla and this oats dhokla is a healthified version of Rava Dhokla aka Suji Ka Dhokla. Do you love eating oats for breakfast? Tired of eating regular oat smoothies or porridge? 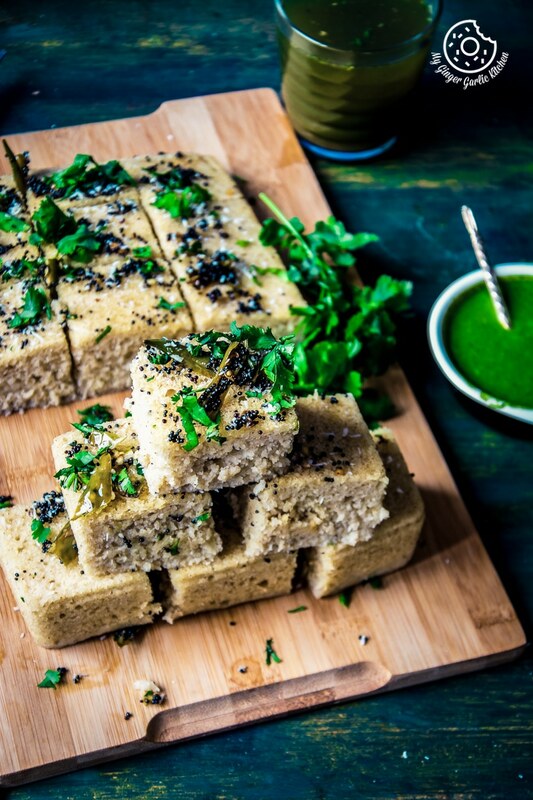 Then this oats rava dhokla recipe is surely calling your name. Is oats rava dhokla healhty? This recipe makes an instant dhokla which doesn’t require any soaking. The use of baking soda or ‘Eno’ fruit salt does everything to make them rise quickly. Hence you can make these soft and fluffy dhoklas in no time. 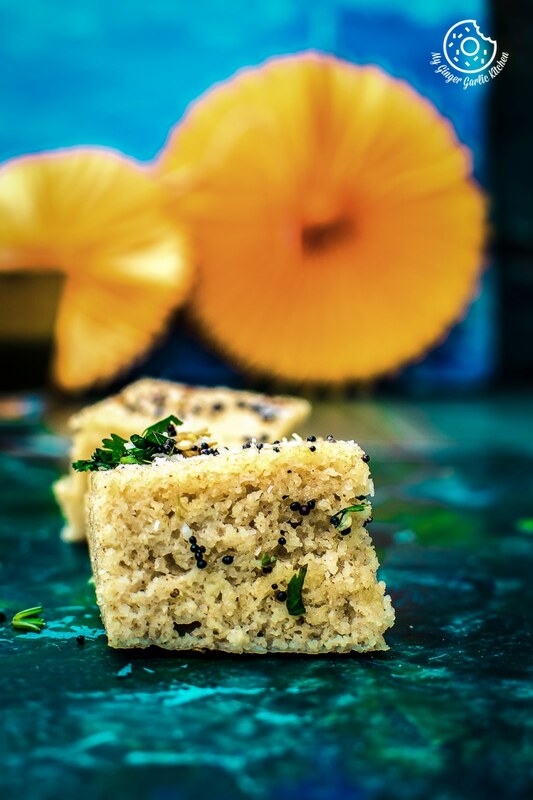 This soft and spongy oat Dhokla is cooked with quick oats, semolina, yogurt, and seasoned with green chili and mustard tempering. This is a healthy, fibery, nutritious, and low-calorie food, which is very light on the stomach as well. 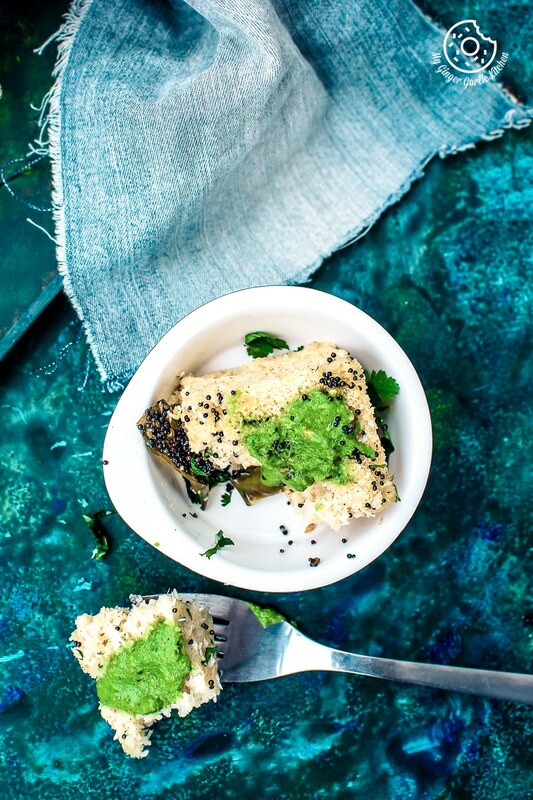 How do you serve Oats Rava Dhokla? 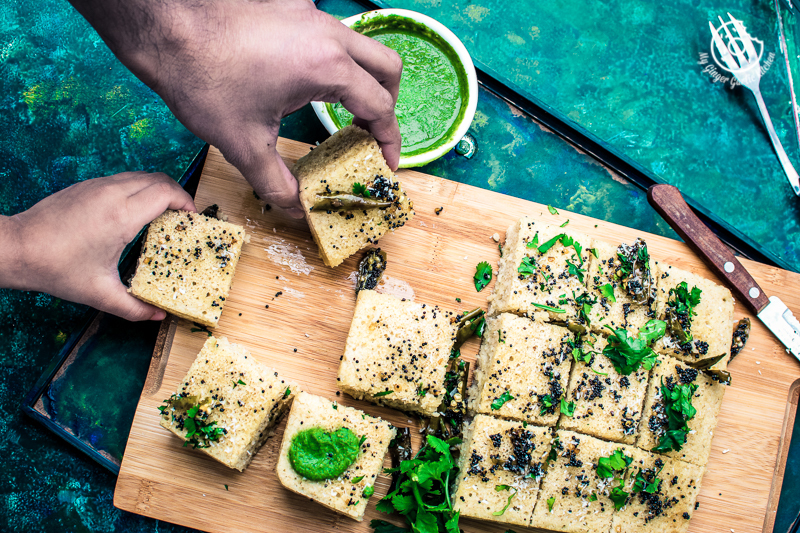 Oats Rava Dhokla recipe is best served with green chutney or coconut chutney, but you can have these with any ketchup of your choice. 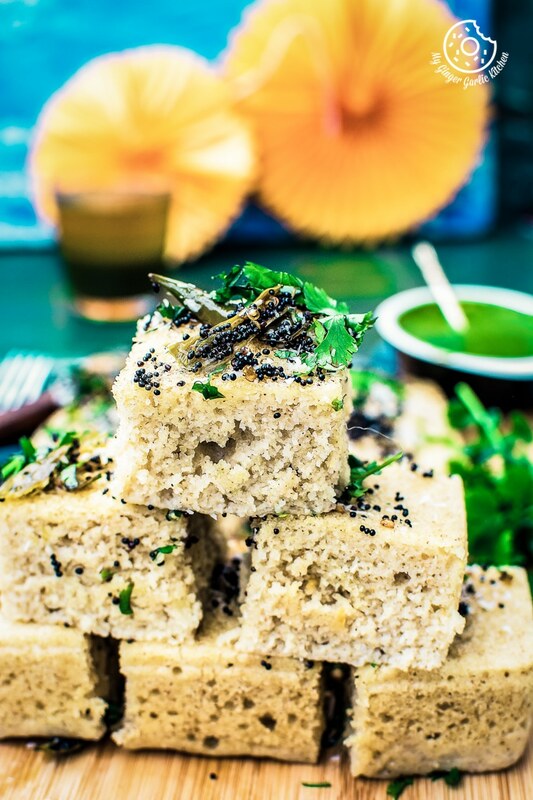 A hot cup of hot Masala Chai and these dhoklas are the best friends. 1. Dry roast oats for 5 minutes. Let them cool completely and grind into a fine powder. Oats flour is ready. 2. Combine the oats flour, Semolina, yogurt, ginger, lemon juice and mix well. 3. Add water and mix again to make a smooth paste. 4. Set is aside for 10 minutes. 5. Add salt and mix well. Add more water if needed, we need batter of dropping consistency. 6. Boil water in a large pot/pan or a steamer. 7. If you are steaming in a pot/pan then put a stand on it as shown in the video. 8. Add the fruit salt/baking soda and 2 tsp lemon juice to the batter just before steaming and mix lightly until batter is light and fluffy. 9. Brush a thali or a container (heat safe container) with oil. 11. Arrange the container in the boiling water and Cover. 12. Steam for 12-15 minutes or till the dhoklas are cooked. 13. Insert a toothpick to check if Dhaka is cooked if it comes out clean then dhokla is ready. If not, steam for few more minutes. Keep aside. 14. Heat the oil in a small non-stick pan and add the mustard seeds. 15. When the seeds crackle, add the green chilies, and sauté on a medium heat for 2-3 minutes. 16. Remove from heat and Pour the tempering over the prepared dhokla and spread it evenly. 17. Garnish with desiccated coconut and coriander. 18. Cut into pieces and serve immediately with Green Chutney, Red chutney, or Coconut Chutney. 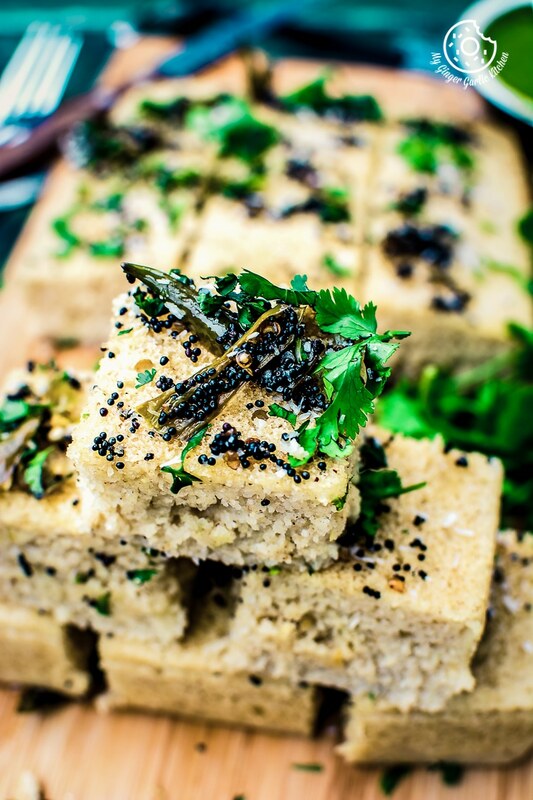 You may also like these other Dhokla recipes.